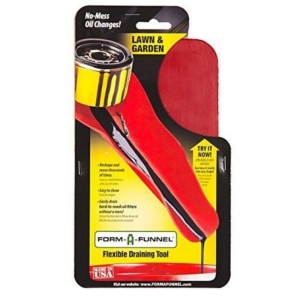 Lawn & Garden The Lawn & Garden size (9" x 4-3/4") is great for draining oil, gasoline and other fluids from small engines and lawn equipment. This smaller size gets into tight, hard to reach places. Ideal for small engines, lawnmowers, lawn tractors, ATVs, snowmobiles automobiles, motorcycles and generators. Thick, pliable nitrile rubber coating completely encases a thin, bendable layer of aluminum alloy that resists wear. Reshape and reuse it over and over. 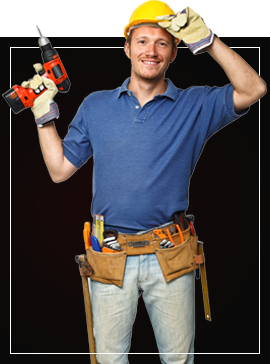 Edges can be molded around filters or drains to create a leak-proof seal. Keeps oil off of engines, frames and surrounding parts. Highly compatible with common automotive fluids. Works in temperatures from -30F° to 425F°. Cleans easily with cleaners and degreasers. In addition to draining and filling fluids, FORM-A-FUNNEL® can be used in a wide variety of applications including diverting water dripping from a pipe, filling bird feeders and filling fertilizer containers. The potential uses are endless! COMPARE ALL (4) FUNNEL SIZES.